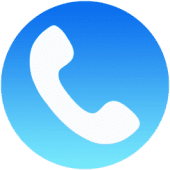 With WePhone - the best calling app on your device , you can make cheap calls with crystal clear voice quality and enjoy free text & free calls between WePhone users! ★ VERY VERY EASY TO USE! No configuration is required. You get trial phone calls right after download with free gift credit. ★ Call over WiFi/3G/4G/GPRS, no roaming costs even you make phone calls from abroad, call from anywhere with the same rates!